How else can you up your game if your work space doesn't get you in the zone?! 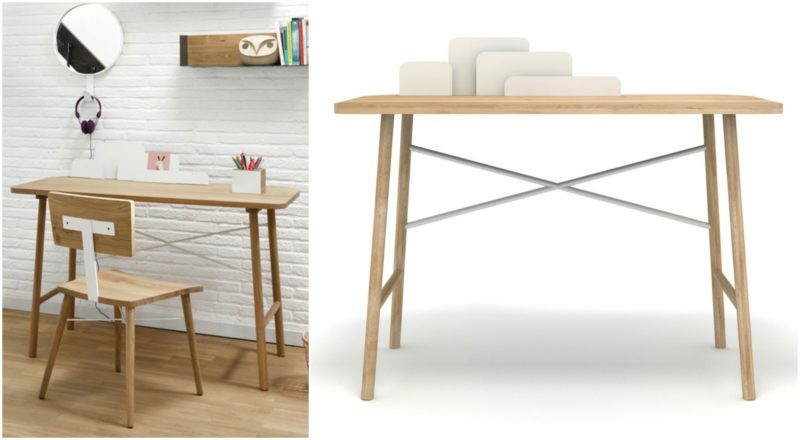 2 of our most popular are the B-desk (pictured) & the Cloud desk (below), which boast that chic minimalist Scandi-esque style that inspire calm and clutter-free organising. Made of solid oak with lacquered metal joists, the desks demonstrate clean-lines, smart functionality and an organic appeal. These desks have been very popular with the little people in our lives and not too big that they clutter your child's bedroom/study space! Our Cloud desk has lacquered metal joists and file dividers, which create a nice edge on one side. We have masses of chairs but the ones we find that we use most often are our classic Eames style chairs (below), available in lots of colours but the muted tones of white, grey and black tend to marry well with the simple silhouettes and Scandi-chic look of our desks. The classic DSW with wood legs come in lots of colours and we also stock these with arms in a tub style. We are offering 10% to our loyal customers off these chairs and desks for the next 2 weeks, promotion ending Saturday the 16th! Simply enter Backtoschool10 at the check out or feel free to pop into CA Design to have a closer look. We are located at 23 Dunville Avenue in Ranelagh and open 10-5.30pm Tuesday to Friday and 10-5pm Saturdays. Email: info@cadesign.ie/Phone: 01 4979553.